Change is constant in the food processing industry. Technology improves and regulations increase. Consumer expectations are raised and their demands evolve. At PSSI, we know it’s important to always stay current and have an eye on the future. Chlorine Dioxide and Quaternary Ammonium Compounds (QACs or Quats) are sanitization standbys for good reason. Chlorine dioxide can be produced on-site without expensive equipment and can achieve microbial mortality even at low concentrations. It’s also environmentally friendly as it does not form chlorinated organic compounds. Quats are usually odorless, non-corrosive, non-staining and nontoxic to people, while effective against a vast range of microbes. They perform well across a wide pH and temperature range. In the food industry, approximately 300 different types of Quats are used depending on the situational need. Peroxyacetic acid (PAA) is an effective sanitizer whose use is growing exponentially. These solutions are effective in cold conditions producing microbial mortality on refrigerated equipment. PAA-based sanitizers eventually break down into acetic acid, oxygen and water, making them environmentally friendly. Combined with chlorine and Quats, these are the most-commonly used chemicals at many food and beverage facilities. In the simplest terms, soap and water are necessary for cleaning a facility. Sanitation experts aim to use less water as moist environments are a prime source of growth for microorganisms. But as always, it depends on the situation. For years, the standard in meat and poultry plants was a high-pressure washdown. However, many facilities have migrated to a high-volume, low-pressure washdown to reduce the possibility of atomized bacteria. New techniques are always becoming available. One emerging possibility is dry ice blast cleaning. Dry ice is the solid form of carbon dioxide, a colorless, tasteless and odorless gas found naturally in our atmosphere. Blasting dry ice instantly vaporizes, leaving no residue in a waterless process. Another option is superheated dry steam. Superheated steam can sterilize an environment but requires expensive equipment. This technique hasn’t caught on widely yet but is something to keep an eye on. Each situation is unique and requires experts to determine the best way to sanitize a specific location. 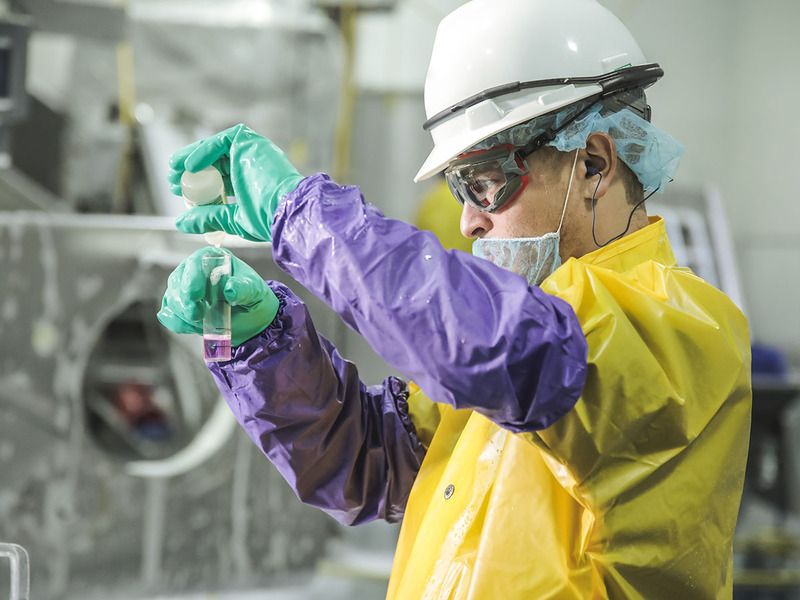 PSSI and its preferred supplier, Packers Chemical Inc., have the expertise to recommend the best cleaning agents and how to apply these agents in your facility.